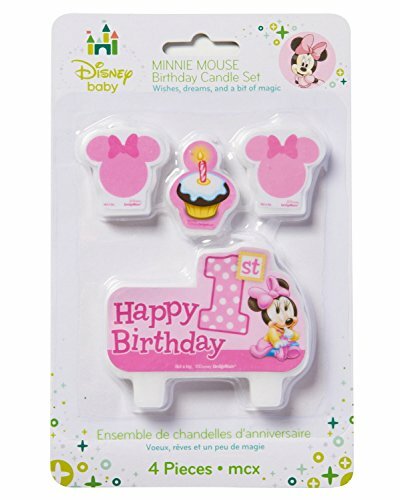 Light up your little sweetheart’s 1st birthday cake with Minnie Mouse Baby birthday candles! 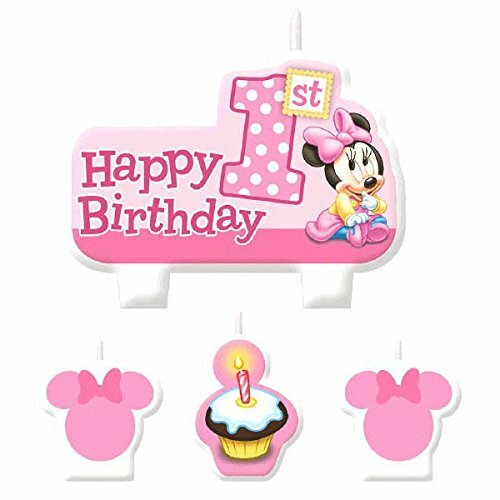 This pretty-pink candle set includes one large candle with Happy 1st Birthday text and an adorable baby Minnie Mouse, and three smaller candles featuring a glowing birthday cupcake and classic Minnie icons! 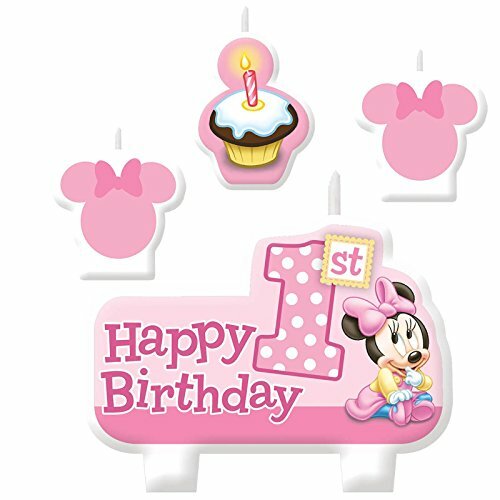 Coordinate with other Minnie Mouse Baby party supplies for a cute-as-can-be 1st birthday celebration!.